Look at the picture above. Does this seem like an excessive amount of Licorice Root to you? It does to me too! I have no idea how I got so much Licorice Root though apparently I ordered it. I did not intend on receiving this much LR. Apparently I forgot on three occasions that I ordered this because that is how many packages arrived containing this stuff. I got the first order and then a day later an order came with 3 more bottles in it. Then the next day another package arrived with another 2 bottles. It became a joke in the house. When a package arrives here now my kids are like “I bet it’s more Licorice Root!”- yea haha. I looked on Amazon bc they must have made this mistake(we order a lot from Amazon- it has everything)…nope..I ordered 4 bottles a mere 3 days apart. The other order came from another online seller completely. What the heck is wrong with my brain? Maybe I was having Licorice Root withdrawal. I have no recollection of this – except ordering the LR one time. How do I not recall ordering the three bottles and ordered more? My brain is not working right! I don’t need that much Licorice Root. I am scaring myself! This is not the first time I have done this. I did it with Omega 3 and I seem to be forgetting small things- a lot. Which is bad because when my teen says to me that I said this or that, or I said that they could have this or that how do I know if they are putting one over on me or if I really said it? And they are catching on too…which makes this even worse. 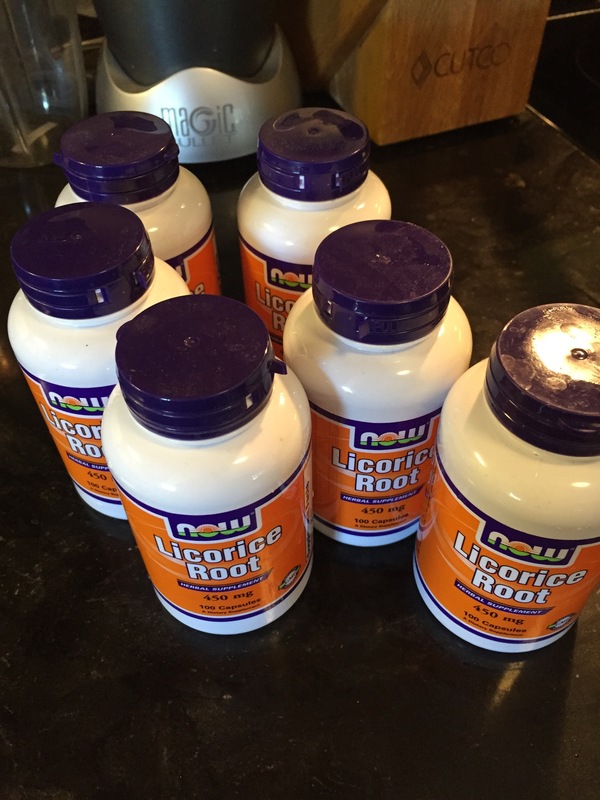 I take Licorice Root to help my adrenals which is supposed to help my brain indirectly – I think. I guess I need to read up on this. I take a large amount of pills in the morning all vitamins, herbs and minerals- you would think that I would be getting better brain power out of one of them. Apparently not. I guess I could blame this on peri- Men- O- Pause…I could string that excuse out for years. Maybe my family won’t commit me. The reason this is happening is due to a combo of things I think – but good Lord I need to manage this somehow or we will run out of money and closet space. Pretty sure I cannot legally resell vitamins. I guess from now on I am going to have to double check my Amazon orders and my email to police myself. How exhausting! I guess I should be glad that bigger ticket items haven’t shown up here in multiples. Though I kind of wish I would forget I have an Ipad …I could use a new one. 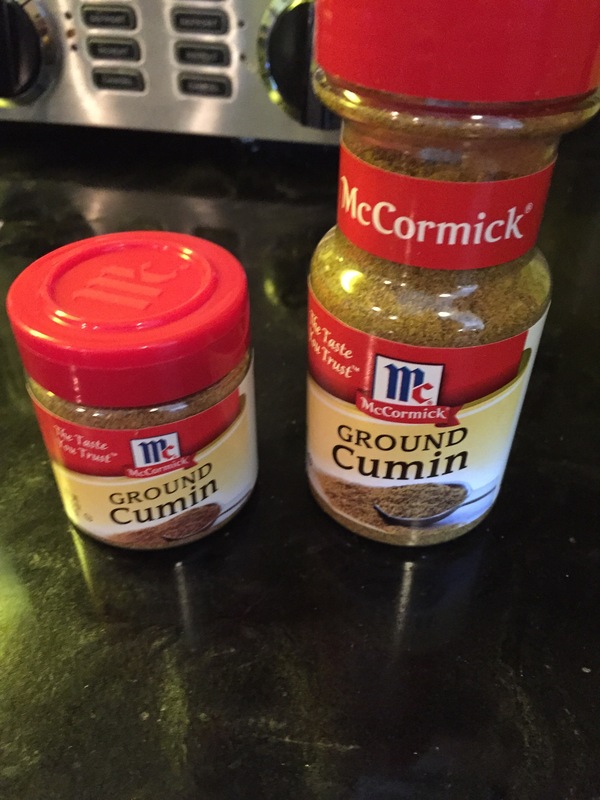 Who bought the Cumin? Nope -It was not me! Thanks for reading…. Today I was reminded of how much words can hurt. Especially when you are a young teen trying to find your place in the world. Our daughter “K” is in high school – she was reading aloud in class and stumbled over some words(it was Macbeth- hello – I couldn’t even understand the Cliff notes back in the day). A peer said to her right in front of many of the kids in the class..”you can’t even read, you should go back to your own country.” She was so upset she texted me about it. This got mama and papa upset. One of my hot buttons is racism. I know this was an immature kid saying a stupid thing but if it’s not racist to some – then at the least it is quite mean. This is not the first time K has had comments made to her. She is Asian and we live in rural America and our schools are not very diverse and sadly she has run into nasty people before. Today it stung a bit more because it was said in front of her class – she was embarrassed and according to her the teacher just said to the kid “that wasn’t nice”- really thats all you got? I don’t want a huge deal made out of it but how about speaking to the kid after class – asking him to apologize? It is funny that the kids will get long lectures about bullying and racism in school yet teachers turn the other way if they see it happen- well some teachers anyway. Do we (as in the country)really still have to deal with this stuff? Can’t we get past the the hate? Would this kids parents be okay that this comment was made by their child? Or worse, did he get the idea this was okay to say from his family? I feel like we (the country/the world)should be so far past this but we aren’t and we see it everyday all over this country. There is just so much hate spewed daily – shouldn’t we do something about it if we see it in our homes, businesses and classrooms? It just boils my blood when my child is hurt by such unkind words. Sadly, It won’t be the last time she hears these comments. I decided to give her some canned retorts to these bullies. She laughed at my suggestions–all were intended to emasculate the big mouths if said bully was a male. She won’t use them but it was fun thinking of them. Ok it is immature, but I know you moms reading this understand how the claws can come out when someone messes with our kids. Seriously- I have so many things I want to say to him- all those retorts I didn’t have when I was in high school. I took the high road though. I didn’t hunt him down to let him verbally have it. I contacted the teacher and asked her to speak to the student about it. I was clear in my disappointment that she did not handle it right away. We will see what her response is. My daughter and I spoke later about the incident and she said that this time it just got to her but she said that she usually deals with it and shrugs it off or uses her retort of “Oh – haha – you are saying that because I am Asian- now I get it….” but I can tell it stings. I was the fat kid – so I know about the words that hurt. I don’t want my daughter to feel less than because she is Asian, or a woman, or fat, or skinny. She is more than because of the her sweet soul and her care for others. She can do anything – or be anything if she sets her mind to it. I don’t want some stupid kid with a big mouth making her or anyone else feel badly about themselves. Ps – I am quite happy to report that the teacher stepped up in a big way. The child apologized in writing and he had to do go tonthe office. She also spoke to the entire class about these types of comments. K has forgiven her peer. I hope she and her classmates learned something from this. I’m so glad the teacher effectively handled this and she reached out to me as well. I appreciated that. I was going through our winter warm weather clothing stash the other day determined to purge all the things we’ve outgrown, ripped, and lost the matches to. I had a load of unmatched gloves. How in the world did I get that many gloves and where were their matches? There were kids gloves, and work gloves , and “nice” gloves. I became obsessed with finding their mates. I had my son bring up any box from the basement that might contain the matches. We found a couple mates but there were a bunch of gloves that remained mateless and would have to go. I was actually feeling sorry for these old gloves. Why do I do that? I am not a hoarder. I like purging stuff but sometimes it’s personal and tossing away stuff is hard. I think I would feel better if the old gloves had a match and would go in the thrift shop bags for donation. 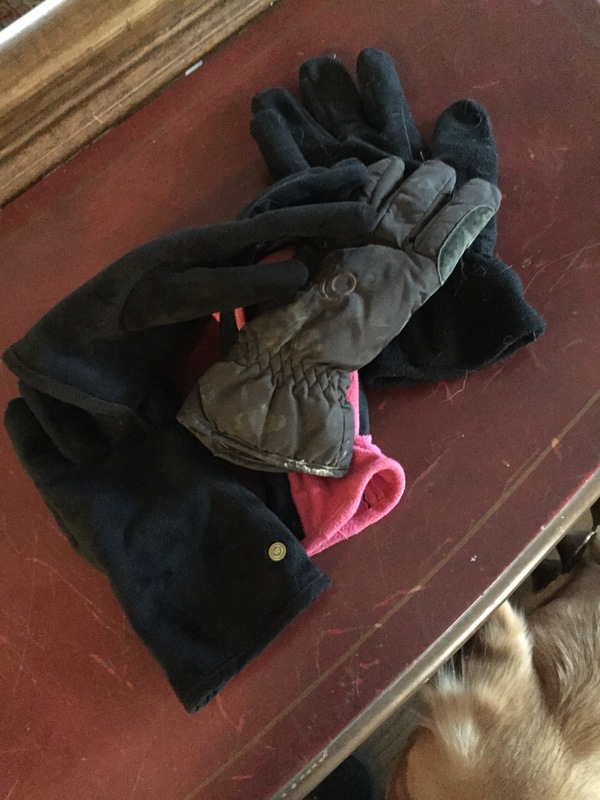 Something about those old gloves going in the trash made me sad. They were part of our lives. 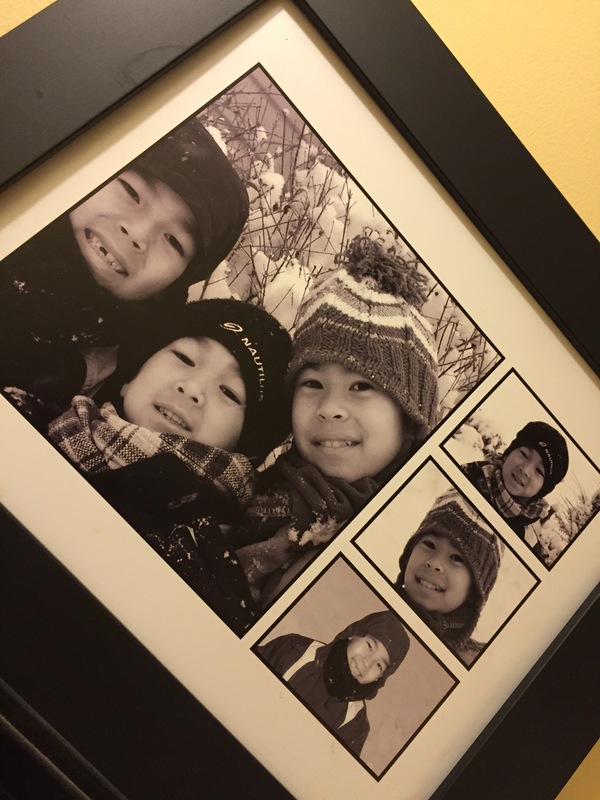 They were part of building snowmen and shoveling snow, working in the barn, jumping In piles of leaves. Funny to feel sad about old cloth- but I did and I embraced it for a bit. After I was pretty sure I had no matches for them I left them to sit out. I knew eventually my need to lose the clutter would land them in the trash. And that is what happened but I’m not going to lie I felt sad! I have some stuff in my life that has some sweet memories attached to it. Some I’ll hold onto and others I’ll toss or give away. Sometimes I get rid of stuff and feel nothing and other times there is that little pull. With the gloves there was that little pull. It’s time to get new gloves for kids who are just about bigger than I am. Sometimes the purging emphasizes the passage of sweet time. Maybe that’s what gets me. The gloves are gone and there will be other stuff to follow- that’s part of life and part of making sure we don’t become hoarders. There are some things I’ll never part with. We all have things like that. For me there’s my nana’s china and her hand mirror. Then there are the smaller items that wouldn’t matter to anyone. 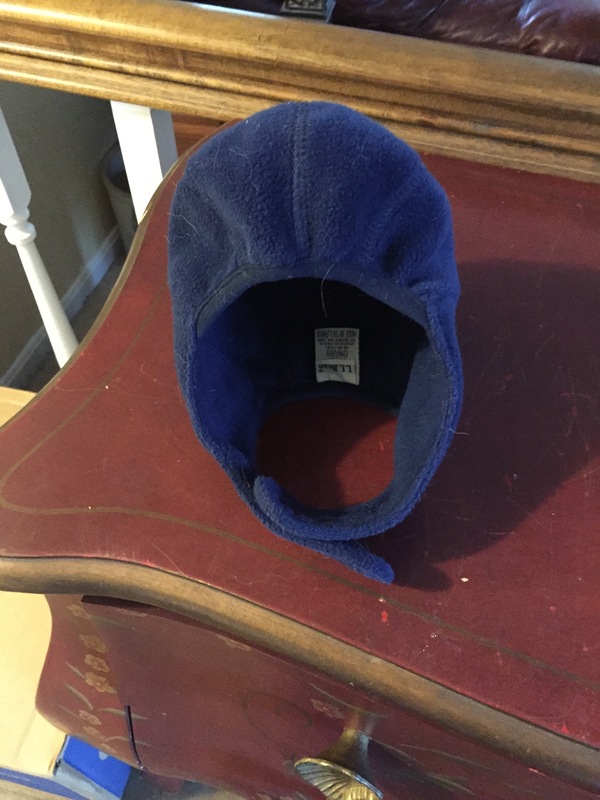 Like the little blue LL Bean hat I bought my first son after we adopted him. He was the only baby I ever had. My other kids came to us as a toddler and pre-schooler. That ratty old hat brings back so many memories of being a new mom at age 37 who had no idea what being a mom really meant. I had no concept that a little boy from halfway across the world could come and steal away her heart. No that hat isn’t going anywhere. I am writing to you with an issue I am having with a particular lesson you have introduced in your course. Though I very much like the idea of your course – to help Freshman get the skills they need in order to be prepared and plan for their next 4 years of school – and beyond -hopefully, I am not happy with one particular example you used while teaching the topic of communication. Specifically, when the students were given the list of examples on poor communication one example discussed was “Probing Conversation”. I did not like the example portion of this topic at all- and I am asking that you fix it. For the sake of future teen communication it needs to be fixed. Imagine how excited I was as a mom when my son came into my room with a sheet of paper in hand and asked me to read it. I thought we are having a bonding moment. He wanted to share something special he learned in his Freshman Seminar class. I began reading – the topic was on poor communication skills- there were a few types listed with appropriate examples. As I read further I came across the one titled “Probing Communication”. A probing conversation is when a person asks many questions to drag (or as I would say guide) an answer from someone. It is considered to be intrusive when used in the wrong way and influential when used correctly. This example did not go into this fact. It explained that probing is bad communication and listed types of probing questions and then noted as an example of who may use this type of bad communication as parents! What? You are teaching my child that I shouldn’t be probing? Hello? Did anyone who wrote this lesson even have children..better yet teens? We would not ever speak to our kids if we parents did not probe! OK so is my question limit over now?…I know the kids have names…great. Oh my Gosh- do you see what the drill has to be as a parent? My rules are that I need to know – WHO, WHAT, WHERE, WHEN, HOW about an activity – and this the minimum. I may need more info depending on the activity. And your probing lesson is being used against me! These are probing questions- I have to probe – he is a young teen prone to make huge blunders and we are parents trying to minimize the blunders and their impact on the kids life. We cannot stop the blunders but we can try – and without probing questions we leave a lot of stuff we need to know out of the convo! So now not only do I bug the crap out of my kids when I ask them these questions they have been given the definition of the tactic and have been told it is a poor way to communicate – and they call me out on it! Seriously take that example out of the book – or rewrite it! No just forget the entire lesson because i can tell you that ammo you gave them on probing is the only lesson they absorbed because I don’t see them practicing better communication on their end. Maybe stick to resume writing, homework organization, and schedule planning. I am all for not being too intrusive and as a mom we sometimes can try to get too into our kids business – we forget they deserve some privacy. But if they want to leave my home and convene with friends I need to know some information and I am going to ask questions and set limits if I don’t get the answers. Please teachers don’t make it harder than it already is! Thank you for what you do – but maybe leave the lessons on communication to the speech teachers. Do you think you can do this? How do you feel about it? Are you angry? Where were you when you read this? Do you have to run it by administration? Other teachers? How long will it take for you to get a response on this? How long will it take for you to get back to me on this? Who do you have to talk to to get this rectified? What is the process? Where will it take place? I got more- should I keep going? I am a trained in inquisition because I am a mom. You get the point…. If you asked me a couple years ago if I would ever leave this farm I would have said no. I thought I would be here 20 years. But life has a way of changing and as much as I love this place I can see leaving here. With some challenges in the last year I am less mobile than I was so even these 4 acres are hard to keep up. I have teens to help when bribed but they won’t always be here (will they?) so the back forty would be left to Kevin and I. I love this place as I said above but I think I want other things too. The other things I may want more than staying here and worrying about so many things getting done. Hiring people in to do them is very expensive too! A year makes a big difference in ones outlook sometimes. Having a serious illness made me realize that I really want to live at the beach. We had always planned on that in an abstract way. We dreamed of having this farm and a place at the beach. But in this last year when we began to think about it in the concrete we realized we would like to live at the beach sooner than later and having two homes isn’t in the financial picture. So I began pondering what beach would I like to land myself in? There are so many beaches and towns I want to see. Some on the east coast- some on the west – and some on the Gulf. Do I have to pick just one? Kevin and I began talking about The Plan -coming up with different scenarios. One is having a home base at a beach – we love Bethany Beach in Delaware – and then traveling in winter to other beaches. So do we rent places for a month or two at other beaches? I guess that could be a good plan but I think there might be a better way- an RV. I know- some of you may cringe – I to was an avid camper in that backpack, pitch the tent on the trail, poop in a hole by the tree way (ok I didn;t like that so I often waited to find rustic port o Johns. )- but the point was that I was so anti-RV. RV’s were for old people. That was until I went camping in one many years ago. My aversion to living like a turtle with your house on your back changed. I never would admit it back then as I was still on the early end of my 30’s and tainted by years spent with RV haters- but I became a closet RV lover. My love of them was further sealed on the last couple camping trips we took- one to a mosquito infested beach in southern MD when Kevin and I were dating, and the other to a Yogi Bear themed park where we slept on air mattresses with 3 kids and a dog..I ended up on the ground after the stupid mattress lost all the air..yes I need more luxury. I came out of the closet as an RV lover in the last few years when I realized I am “old” and my back cannot take lots of sleeping on grounds and crappy air mattresses. So I’m thinking maybe we have a home base at one beach – where we would have a condo- bc if I have horses still they will have to be living someplace and that could be home base. They wouldn’t live in the condo just to make that clear. Then we could have an RV to hop in with all the dogs in tow and travel to wherever our hearts may take us. There are still many places off the continent I want to see but I have an aversion to traveling by plane- so the RV version of my future sounds great. And we can even give the RV life a try sooner than later by renting one for a trip somewhere. I have even considered having an RV as our ONLY home. Then I think what about the kids and all the stuff? I love to purge but what about my Nana’s desk and her buffet? What about the pounds of photo albums (yes I could scan them and put them on a cloud but like to flip the pages and touch the photos). I can’t think all that through just yet- but there is an element of freedom in thinking I could live in one small space with only the things I really need. I don’t know how it will all end up- but a girl can dream. I have begun pricing RV’s and even looked at RV parks and what they cost and what they offer as far as amenities- and do they take dogs and are there dog amenities nearby. I have my priorities – bc where I go dogs will be with me. Oh and my husband will be with me but his requirements are much less than mine and the dogs! Or maybe we could join the cult of Air-streamers out there! Look at the inside of this baby!